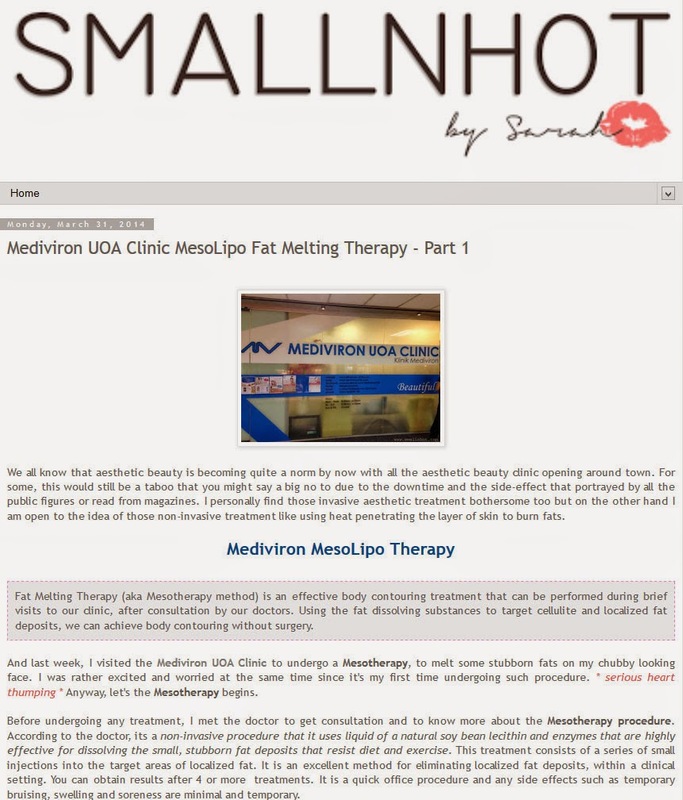 Blogger Sarah visited our clinic for doctor consultation as she wanted a smaller face. After consulted by our doctor, she decide to go for Fat Melting injection combine with Venus Freeze to see an optimum result. Read her story now at her blog!